Backyard decks are a great place to relax with family and friends, entertain guests, or have a barbecue. And when you are ready to have a deck installed in your Edwardsville, Illinois yard, call on Chesley Fence & Deck. Since 1967, Chesley Fence & Deck has remained one of the most trusted names in deck installation, and we are ready to create and install the deck of your dreams. We can custom design decks in any configuration and size to suit the specific needs and tastes of our customers. Our highly trained, experienced, and certified installers always install our decking according to best practices. 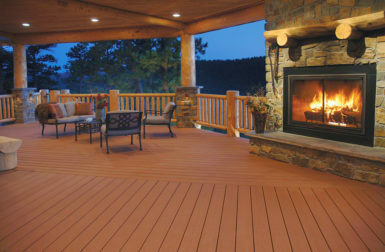 We offer many decking options to choose from, including two wood decking options that can be sealed and stained and two synthetic decking options – a PVC cellular option that is plastic throughout and Tamko Envision® PVC coated composite decking – both of which are durable, low maintenance, and mold- and mildew-resistant. What’s more, our Tamko Envision® PVC coated composite backyard decks are backed by a 20-year warranty that covers deterioration, staining, and fading, and all our premium decking is covered by a three-year labor warranty for added peace of mind. For more information on our backyard decks, contact Chelsey Fence & Deck today. 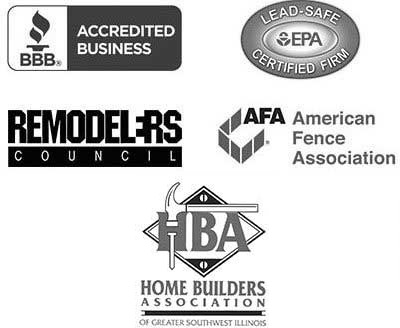 We proudly serve all homeowners residing in Edwardsville, IL and surrounding cities.